The younger Browns crossed Missouri in the spring of 1855, roughly contemporaneous with Missourian intervention in the Kansas legislative elections of March. With so many men on the move, money and cannons flowing, and all Kansas news the talk of the Show Me State, they couldn’t have missed the news if they tried. Since they came all this way, at such great expense, specifically to oppose the proslavery men, the Browns ignored their warnings and pressed on. They found a spot near Pottawattomie, which Redpath locates “about eight miles distant” from where John Brown himself would go to live. We have this from Brown, writing before Harper’s Ferry but some years after. Reading the lines closely, it seems that he referred to a document he wrote while still in Kansas. It wouldn’t make any sense to worry about damaging the Democracy in 1859, but during the Kansas days Brown’s antislavery party had a large Democratic contingent. He might have destroyed it in order to help the free state cause or, to read between the lines, Brown may have written about his sons taking vengeance upon their proslavery neighbors for those troubles in a way that could discredit the movement. were harassed, plundered, threatened, and insulted by gangs of marauding border ruffians, with whom the prime object was plunder; and noisy pro-slavery partizanship was equivalent to a free charter to do so with impunity. The last time a proslavery army departed from the environs of Lawrence, they left disappointed. Having come all that way to destroy the town and kill abolitionists, they went home with all the buildings still standing and only one of their enemy dead. The free state leadership pronounced themselves delighted in the outcome, but many of the men who flooded into Lawrence to defend the town also came for a fight and didn’t appreciate the negotiated settlement. Given James Lane’s questionable past and Wilson Shannon’s involvement, they had some cause to suspect their own leadership. Had they made concessions, rather than fight it out? Free state sources speak to the widespread discontent at the end of the Wakarusa War. That affair at least ended with something like the status quo, which no one could claim of the sack of Lawrence. Among the most discontented the first time, one must count a new arrival to Kansas. 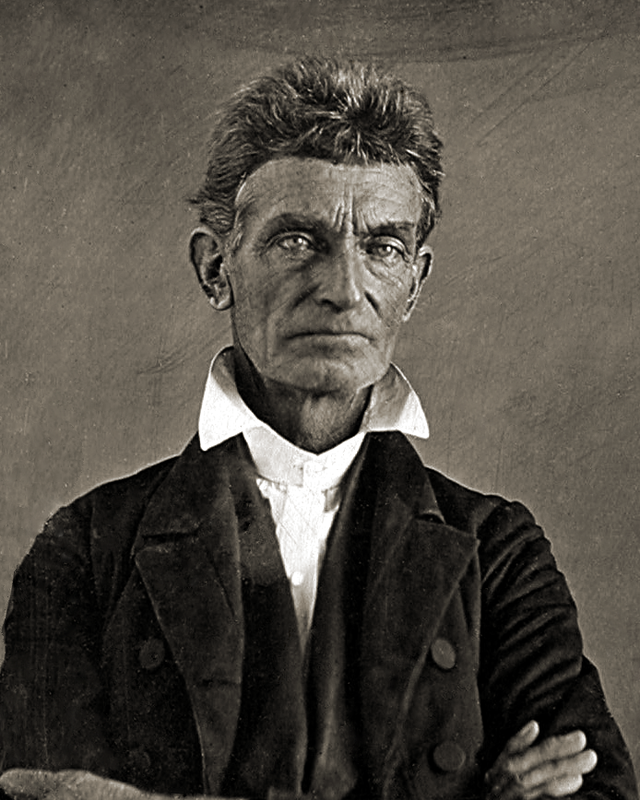 According to James Redpath’s hagiographic 1860 biography, John Brown came to Kansas after some of his sons did. Redpath quotes at length from a manuscript that Brown wrote sometime before he went off to his destiny at Harper’s Ferry on how the abolitionist came to Kansas. In 1854, the four eldest sons of John Brown, named John, Jr., Jason, Owen, and Frederick, all children by a first wife, then living in Ohio, determined to remove to Kansas. John, Jr., sold his place, a v ery desirable little property near Akron, in Summit County. The other two sons held no landed property, but both were possessed of some valuable stock, (as were also the first two named,) derived from that of their father, which had been often noticed by liberal premiums, both in the State of New York and also of Ohio. Brown wanted posterity to know that his sons gave up a considerable amount of wealth in the name of Kansas’ freedom. Jason also had “a very valuable collection of grape vines, and also of choice fruit trees” which he opted to box and ship out. John and Jason both had families to move with them. The summer of 1854 did not cooperate with their resolve to strike for Kansas and crop failures prompted a plan for the the two younger brothers to take the livestock to southern Illinois for the winter at “very considerable expense” and with some of the animals stolen along the way. From Illinois, they could reach Kansas easily come spring of 1855. Nor did the two Brown boys without families fit the image of a hardy frontiersman. Owen had a disabled right arm courtesy of childhood injury. 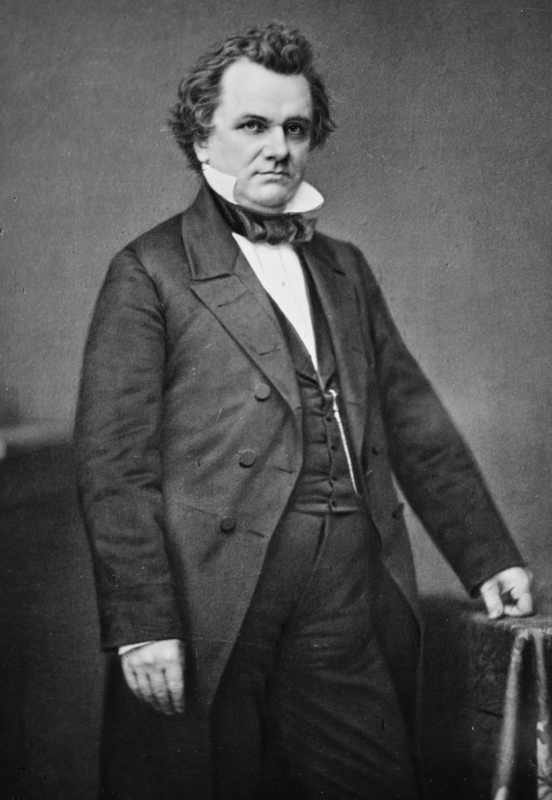 Frederick, “though a very stout man” suffered from chronic illness “attended with insanity.” Brown sharply defended his some from accusations of mental disability and instead referred Frederick braving some sort of near-fatal surgery shortly before his departure. One disabled Brown and one debilitated and recovering Brown thus spent the winter husking corn, outside, to feed their animals. 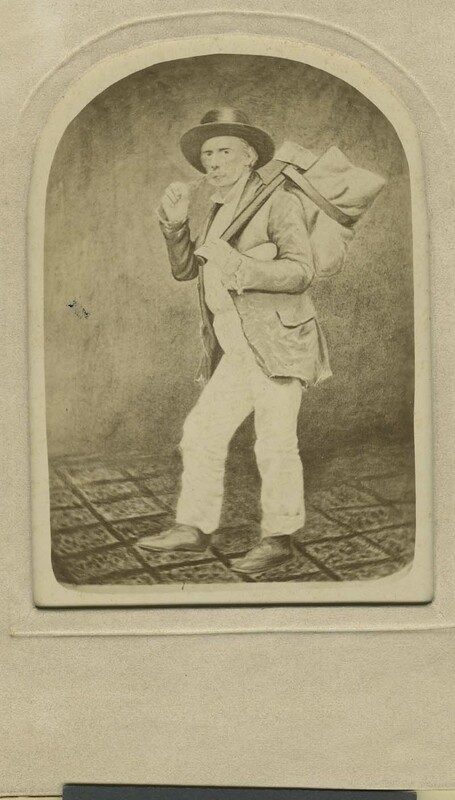 Sometime thereafter, Solomon Brown followed along to help them reach Kansas. Andrew Reeder had a new problem. He had made it to a steamboat and gone down the Missouri river nigh unto St. Louis, but his proslavery bedmate may have seen through his ax-wielding disguise. Said nocturnal companion, a man named Ross, left the boat before St. Louis despite having paid all the way through. Reeder saw him go straight to the train station and put two and two together: Ross aimed to catch a train and get to St. Louis ahead of him. Then he could meet Reeder with a warrant in hand and the fugitive governor-turned-delegate would end up back in Kansas, possibly killed before a treason trial could sentence him to hang. Saw Fogg, who says two young men from Lawrence are upstairs, who will go with me. Captain could get no guide, but had the route described. If Reeder couldn’t get a guide, at least he could get a few bodyguards. Arrangements made, he went out and waited on the deck. With the boat crowded, Reeder “Had great difficulty” getting to where he could change. Even with Ross gone and Fogg an ally, he had other men giving him the hairy eyeball. Finally, Reeder tried feigning sleep and that convinced two of his watchers to call it a night. I thought all had turned in, and was thinking of soon slipping out, having arranged with the captain that the steward should be on the watch if anyone got up to follow me, when, to my great chagrin, the captain came noisily along the cabin, and up to my berth, and nudged me to get up. I was vexed, as I was sure this would attract the attention I had taken so much care to elude. With no helping it, Reeder pretended to go looking for another spot to sack out and then slipped upstairs. There he found the promised guard absent. Andrew Reeder just could not catch a break. Making the best of it, he went to the cabin of his guards, Bassett and Brackett. To add to the chance of detection, the captain followed me there. Reeder changed his clothes and got the news from his new companions that a pair of men on the deck stood guard. He had had quite enough and resolved to go anyway, “and if followed to fight it out.” His guards had no weapons, but Kansas’ first governor had a pair of revolvers and a knife that he shared around. A violent thunder storm came up, and in it, toward the close, we put out the lights and started. The woods being close to the share we stopped in them to see if we were followed. Waited a short time; no one came off the boat, and we struck through the woods; lost the road twice; traveled on, and finally, at 8 o’ clock A.M., struck the Mississippi river fifteen miles above Alton. Got a man to take us across in a skiff. Andrew Reeder had come a long way from Easton, Pennsylvania. Franklin Pierce made him governor of Kansas Territory, where he tried to enact popular sovereignty. His limited, ultimately futile quest to let the white men who lived in Kansas decide the territory for or against slavery ended with the proslavery Kansans getting President Pierce to fire him. 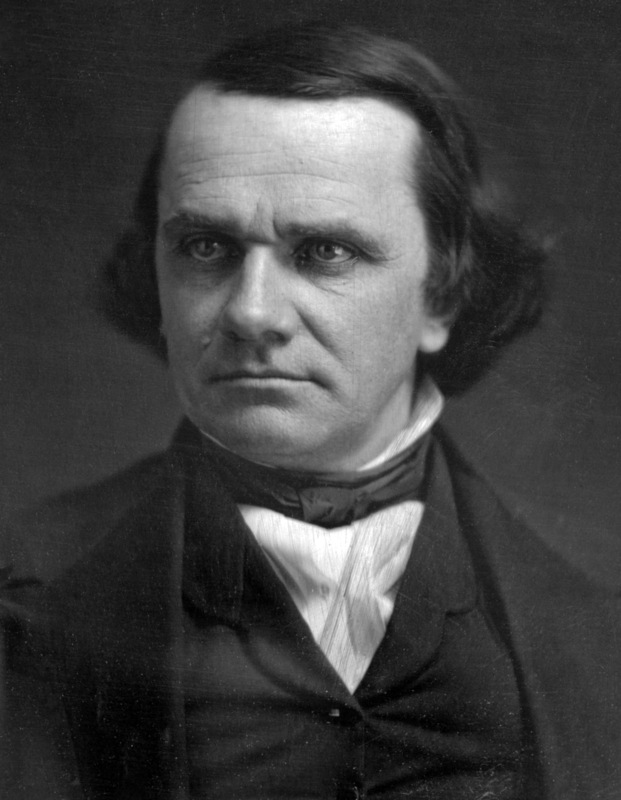 The deposed governor then meant to quit Kansas for good, but the free state movement approached him to serve as their spokesman in Washington. Reeder dictated terms, but ultimately agreed. He would start out as their delegate, to become Senator when they secured admission as Kansas sole government. That put him in Washington with credentials from an illegal government that most Kansans supported. There he collided with John Wilkins Whitfield, who had delegate’s credentials from the legal government that most Kansans rejected. To sort this all out, the House of Representatives dispatched a committee to investigate on Kansas’ troubles, with Reeder and Whitfield arguing their respective cases. 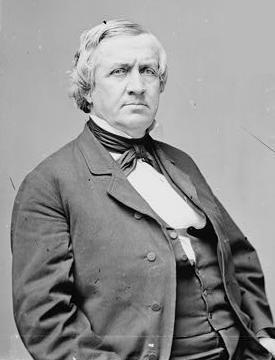 Judge Samuel Lecompte put an end to Reeder’s tenure with the committee by getting a grand jury to order him taken in for questioning and optional murder before his likely treason trial, which would surely have put him at the end of a rope. Reeder, like other free state leaders, promptly fled. 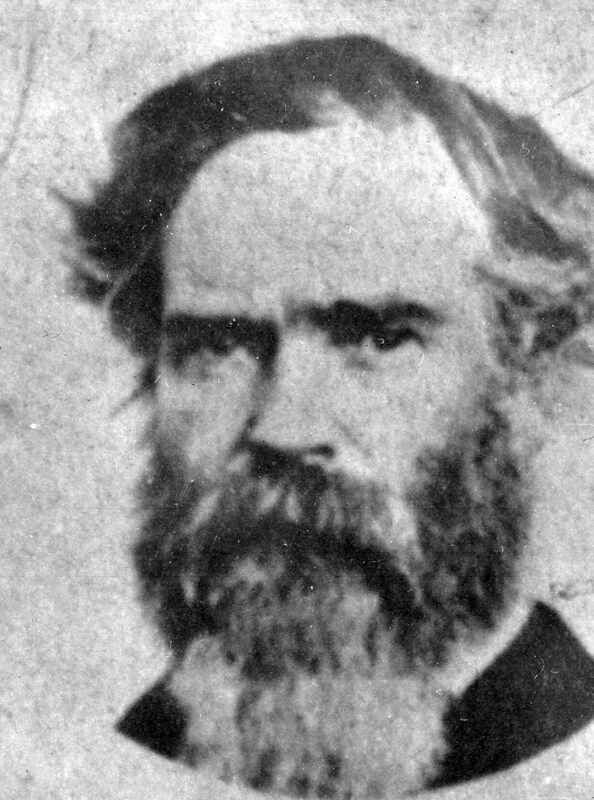 A series of close calls and frustrating waits had at last put Kansas’ first governor on a steamboat headed for St. Louis, from which he hoped to get the word out that the Missourians had come to Kansas again, this time for blood, and the free state movement needed all the men, money, and guns that the North could spare. Reeder boarded his boat disguised as an Irish woodchopper, complete with axe. There he found himself in trouble again. Border Ruffians occupied much of the boat, including the comfortable parts. Thus Reeder had to sleep on the deck, sharing his berth with a proslavery man who he thought saw through his disguise. Worse still, a Mr. Fogg shared the boat with them and seems to have known Reeder on sight. Three or four others might also have suspected they had a false Irishman on their hands. 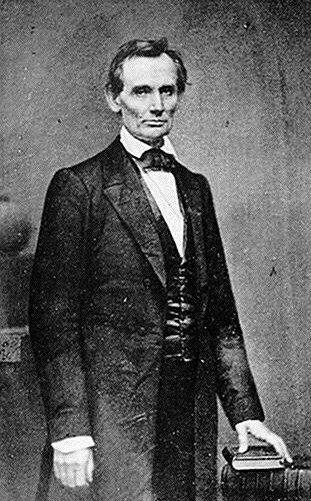 Monday, May 26, 1856, brought another close call. Fogg tried to chat the fugitive delegate up. Reeder “walked away from him.” Fogg didn’t force the matter, but so visibly giving him the cold shoulder can’t have made Reeder stand out any less. On top of that, Reeder expected the boat to reach St. Louis that night, so he wanted to change into his proper clothes. The captain of the boat knew all about Reeder’s situation and one of the governor’s allies had his valise and a trunk on board for just such an occasion. Reeder doesn’t say why he wanted to change. He may have had people who expected him in St. Louis but didn’t know him by sight. A dirty-faced woodsman might have trouble proving himself a recipient of past Democratic patronage. Whatever his reasons, Reeder’s plan again hit a snag. The boat stopped at Jefferson City and Reeder watched people coming and going. There he saw Ross, his bedmate, disembark with carpet bag in hand. Watching, I observed that he went direct to the railroad depot. This being about 11 A.M., it was plain that he could get to St. Louis before evening and have a warrant for me so as to arrest me at once. No one could blame Reeder for paranoia after so long on the run, but that does look like bad news. 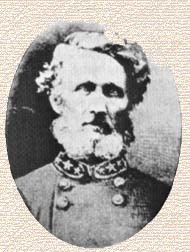 Reeder consulted the captain and learned he couldn’t get to St. Louis before seven in the morning; he planned to stay the night at St. Charles. The two men hatched a plan to get Reeder into the cabin that night, then transfer him to a boat that they would meet in the morning which could take the former governor by St. Louis and over to Alton, on the Illinois side. On further reflection, concluded this was not safe, as, if a warrant was out, they would look for me on that boat or at Alton. Reeder may not have known that a mob out of St. Louis killed Elijah Lovejoy in Alton a few decades back. He doesn’t mention it and proximity alone would give adequate cause for concern. Either way, Reeder didn’t want to risk it and saw the captain again. This time he wanted the captain to see a fellow at the woodyard where the boat had laid up for the night about a guide to get Reeder through to Alton by land and beat the boat, which would let him hop on a train and make his getaway.